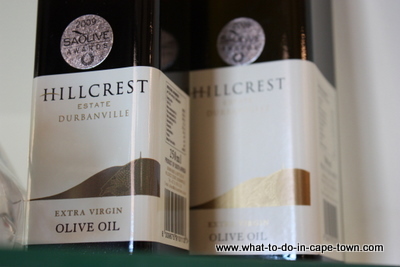 Hillcrest Estate is nestled high up in the Tygerberg Hills (Durbanville ward). The vineyards stretch from about 240m right up to 400m above sea level. The red grape varieties are planted on the lower slopes, while the Sauvignon Blanc vineyard brushes the 400m mark at the top of the hill. Besides elevation, the farm's proximity to the icy Atlantic Ocean also has a major cooling influence on the micro-climate. 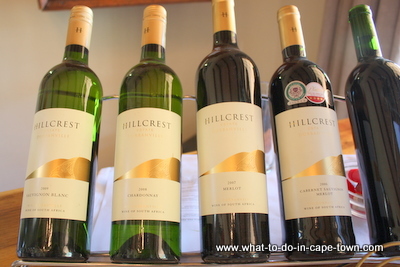 Hillcrest Estate produces about 160 tons of excellent quality fruit every season, but most of this is sold to neighbouring cellars. This means is that only the most outstanding blocks are selected for the cellar. Total annual production for the cellar is about 50 tons, which equates to about 3000 cases of wine. 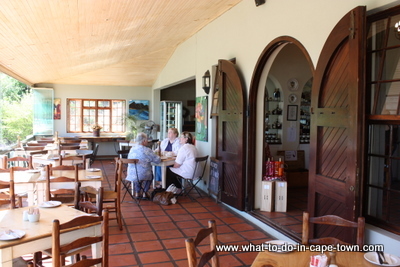 The food at Hillcrest Restaurant is relaxed and informal, with an up market flare. The style is Tuscan, and Mediterranean, yet keeping to the South African roots. 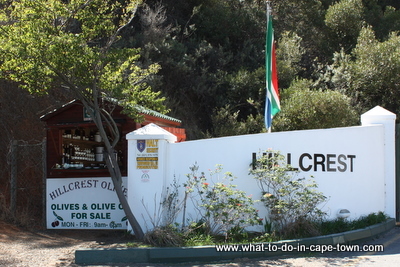 The olive orchards (mainly Mission, Kalmata and Frantoio trees) happened in the late 90s. 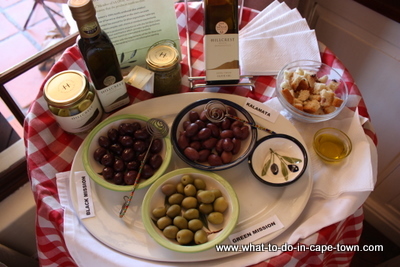 A third of the harvest is used for green and black table olives and the rest to make extra virgin olive oil. All production is done on the farm, from harvesting to bottling. More recently processed olive products such as tapenade, pestos and a Mediterranean olive mix have been included in the product range.